Peter Windsor is a motorsport journalist who has been covering Formula 1 for forty years now. In 1985, he joined Williams as sponsorship manager before a stint at Ferrari as general manager. He returned to Williams as team manager in 1991. In 2009, he was part of the unsuccessful bid to get Team US F1 onto the Formula 1 grid. Over the years, he's written for many publications, won several prizes for his journalism and worked as a reporter for various TV stations covering F1. For the last couple of years, Windsor has been hosting his own online motorsport show called The Flying Lap. It's broadcast live every week on the Smibs TV site and available for non-live watching and downloading shortly afterwards. Although it does cover other motorsports, it concentrates on Formula 1. Thanks to his long association with the sport and his many friends, Peter Windsor is able to attract a brilliant line-up of guests: some are current drivers such as Mark Webber, some are past champions like Nigel Mansell and others are designers like Sergio Rinland. F1 driver interviews are generally extremely dull. Snatching 30 seconds with a driver at a race weekend is never going to be revealing or interesting. They usually trot out the standard approved PR answers and we learn nothing. 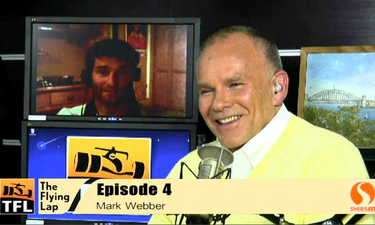 Peter Windsor's weekly show broadcasts for over an hour, so when you get someone like Mark Webber on there, you get to hear a relaxed driver usually sitting at home without a PR bod anywhere near them. They talk far more openly and honestly and you get to hear stuff they'd never say on TV. Where I think the show excels is in featuring people you've never heard of, although once you've hear them, you'll wonder why you you've never seen them before and want to know more. Willem Toet (Managing Director of the RML Group) engineers and manufacturers many of the technologies used by the teams and it's fascinating to hear how that process works and how it's changed over the years. Paul Hembery (director of motorsport for Pirelli) is the guy in charge of the tires that every team uses and it's very interesting to hear how Pirelli goes about this. Craig Scarborough writes a blog that explores and details the parts on the cars and just how they work. So get on over to the Flying Lap website and see some of the most revealing and fascinating F1 and motorsport interviews you're ever likely to see. 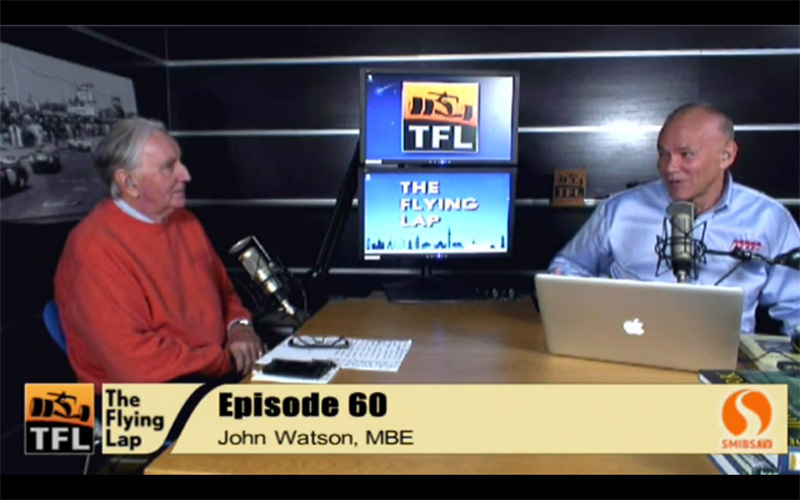 Haven't listened to it all yet, but it's nice hearing John Watson talking at length. In those far off days when I was still able to get enthusiastic about F1, he was one of my favourite drivers. It's a bit of a shame that someone as characterful, lucid and thoughtful as John doesn't get a look in on the terrestrial F1 coverage when lightweight multi-purpose "presenters" like Jake Humphrey or annoying showboaters like Eddie Jordan have a license to drivel on endlessly. Did you get to see a documentary called Grand Prix: the Killing Years, at the end of last year - about the high risks of the sport in the 60s and 70s? If you missed it, it is on again on BBC later this month, see http://www.bbc.co.uk/programmes/b00z8v18. Recommended, if rather sobering, and to be avoided by those of a nervous disposition. Yeah, that Killing Years doc was brilliant. Well, sad and sobering and surprisingly upsetting , but really good. Oh and John Watson mentions the commentating angle and explains how he's been gypped out of another commentating job in order to hire a Spaniard. Hearing John Watson today brings to mind James Hunt's commentary: clear-thinking and not afraid to have an opinion. Ah, happy days.